With advances in artificial intelligence and machine autonomy, a profound transformation in warfare is underway. 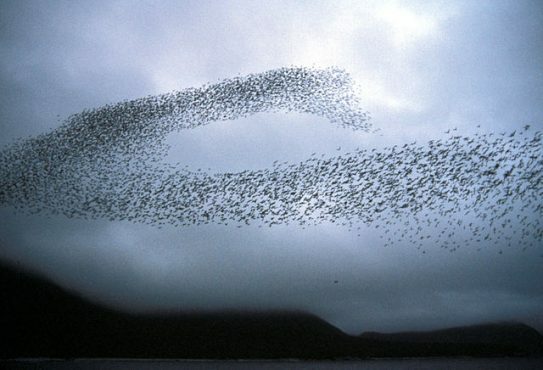 Miltary swarms may behave on the battlefield as flocks of birds do in nature. The convergence of these technologies is enabling drone swarms, made up of cooperative, autonomous robots that react to the battlefield as one. Much as they do in colonies of insects, flocks of birds, or packs of wolves, swarm members will work together to create a unified whole that is greater than the sum of the individuals. They will allow militaries to field forces that are larger in number, faster, and better coordinated – not to mention more expendable – than would be possible with humans alone. Robotic swarms will benefit some countries more than others, decoupling military power from personnel limitations. The most profound and long-lasting impact of swarms will be in the way they change command-and-control, that is, the way militaries organize and fight on the battlefield. The most profound and long-lasting impact of swarms will be in the way they change command-and-control, that is, the way militaries organize and fight on the battlefield.